It's that time of year again: 68 college basketball teams earn bids for the NCAA March Madness tournament. And Berkshire Hathaway employees are given a challenge by their boss. The company's CEO, Warren Buffett, promised $1 million a year for life to the Berkshire (BRKA) employee who picks a perfect bracket through the NCAA tournament's Sweet 16. And Buffett will sweeten the pot if a team from his home state of Nebraska clinches the national title, he announced last month. "If either Creighton or Nebraska ends up winning the tournament, we're going to double the prize. So instead of being $1 million, it's gonna be $2 million," he said on CNBC. The odds of winning either are astronomically high. But Berkshire employees don't need perfection to win some money. Buffett gives out $100,000 to the employee who's bracket stays intact the longest. Last year, a West Virginia factory worker won $100,000 for picking 31 of the tournament's first 32 games. 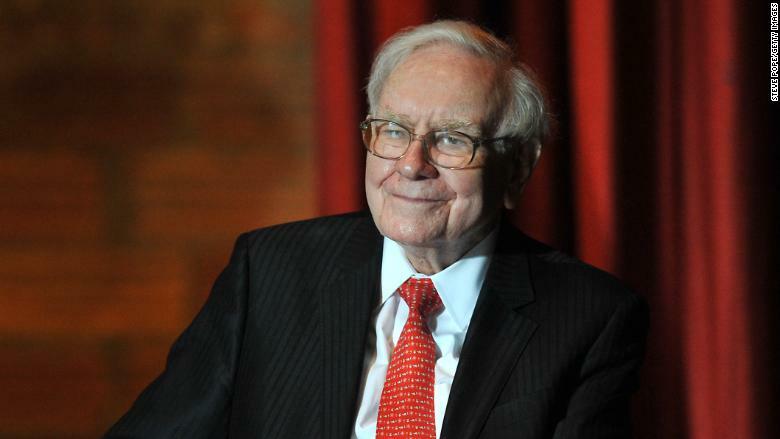 Buffett held his first bracket competition in 2014. The inaugural contest, which was open to the public, offered a grand prize of $1 billion for anyone who could correctly pick the winners of all the games. No one won. --CNN's Ahiza Garcia contributed to this report.